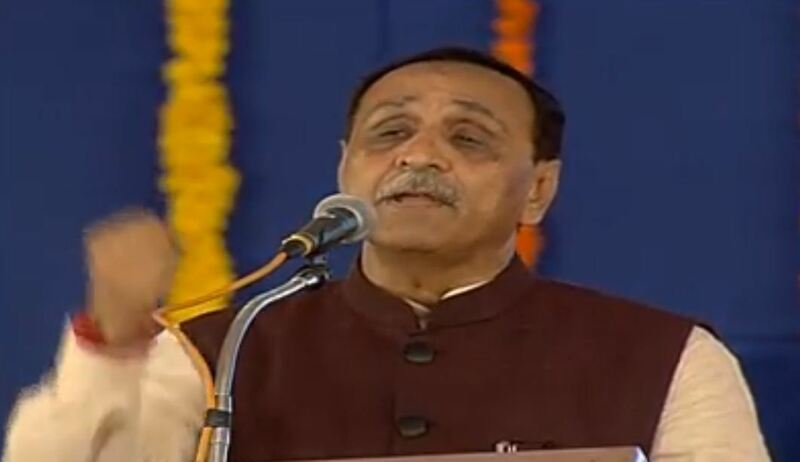 Rajkot: Gujarat Chief Minister Vijay Rupani today said that the State government will make the process of Non Agricultural permission (NA) online. Rupani was speaking about how technology can be used against corruption in a function of private TV channel in Rajkot today evening. Rupani gave example of how building plan permission process has been converted online. Rupani said the government wants to further strengthen the Anti Corruption Bureau. When asked about All India Institute of Medical Science(AIIMS) in Gujarat, the Chief Minister said the Centre will take decision on the location of AIIMS in Gujarat only on merit. He said the process of selection between Vadodara and Rajkot is going on through challenge route. Whichever of two cities is found fulfilling maximum criterias will be chosen for AIIMS.